Alexander Kerr was a quiet man, capable and dependable in his job. Until the stowaway Blackborow was discovered, was the youngest member of the Endurance crew, being just 21 years old on leaving England. He got on particularly well with the 1st Engineer Rickinson, the two being similar in temperament and interests, the two men shared a cubicle on the ship. Kerr was born in Ilford, Essex, the son of a ship's master and joined the Royal navy directly from school. 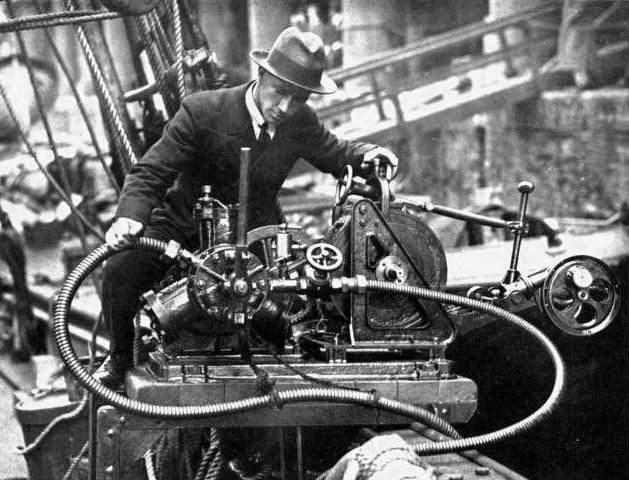 He passed his engineering exams and had worked on oil tank steam ships before joining Shackleton's expedition. On return to England, like several of the other men, Kerr married his sweetheart Lillian within a few months and they settled in East Ham, London. He re-joined the Royal Navy and worked on mine-sweepers in Northern Russia for the duration of the war, afterwards moving with Lillian to his birthplace of Ilford, Essex. They had two children, Jack in 1918 and Eileen in 1920. 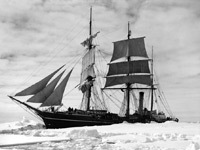 He was invited by Shackleton like many on the Endurance expedition to go South once again on the Quest. 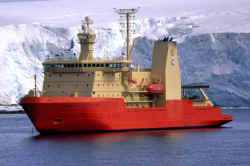 Kerr accepted the position of First Engineer, though the expedition ended with the death of Shackleton at South Georgia. On return to England, he joined the Merchant Navy and worked on tug boats in and around the Port of London which avoided the long periods away from home of deep sea voyages. He retired from the sea in 1934 setting himself up in business in Ilford as a wholesaler. He was a founder member of the British Antarctic Club. Kerr died on Friday 4th December 1964 in hospital in London. It was the year of the 50th reunion of the expedition. Rickinson is about 33 and possesses unusually fine, nearly black hair; Kerr's hair is also wavy but not quite up to Rickinson's standard. Like all engineers, they divulge so little of their antecedents that it is difficult to say just where either of them come from, or just how either of them became engineers, except that they have "done the shops" which is a necessary preliminary to the career of all self-respecting engineers. Both are thoroughly efficient and so unassuming that one would infinitely prefer them as permanent companions to many of my other present comrades. Kerr is but 21 years of age. He is an excellent workman and both he and Rickinson have done several little mechanical jobs for the motor-sledge far better than I could ever have hoped to do them for myself. Rickinson has had the rather unique experience of having been engineer in a ship filled with internal combustion engines and Kerr has been in one of the large oil tank steamers. Thawing everywhere and so mild that Kerr and Hussey washed their faces. They washed them quite clean. To us, they looked so unusual that their appearance at first gave us an instinctive impression that they were ill. In the afternoon we see five emperors in the western lead and capture one. Kerr and Cheetham fight a valiant action with two large birds. Kerr rushes at one, seizes it, and is promptly knocked down by the angered penguin, which jumps on his chest before retiring. Cheetham comes to Kerr's assistance; and between them they seize another penguin, bind his bill and lead him, muttering muffled protests, to the ship like an inebriated old man between two policemen. He weighs 85 lbs., or 5 lbs. less than the heaviest emperor captured previously. Kerr and Cheetham insist that he is nothing to the big fellow who escaped them. At 10 a.m. Hurley and Hudson left for the old camp in order to bring some additional dog-pemmican, since there were no seals to be found near us. Then, as the weather cleared, Worsley and I made a prospect to the west and tried to find a practicable road. A large floe offered a fairly good road for at least another mile to the north-west, and we went back prepared for another move. The weather cleared a little, and after lunch we struck camp. I took Rickenson, Kerr, Wordie, and Hudson as a breakdown gang to pioneer a path among the pressure-ridges. Five dog teams followed. Wild's and Hurley's teams were hitched on to the cutter and they started off in splendid style. They needed to be helped only once; indeed fourteen dogs did as well or even better than eighteen men. The ice was moving beneath and around us as we worked towards the big floe, and where this floe met the smaller ones there was a mass of pressed-up ice, still in motion, with water between the ridges. But it is wonderful what a dozen men can do with picks and shovels. We could cut a road through a pressure-ridge about 14 ft. high in ten minutes and leave a smooth, or comparatively smooth, path for the sledges and teams. Again, later on, one writes: "Now that Wild's window allows a shaft of light to enter our hut, one can begin to see' things inside. Previously one relied upon one's sense of touch, assisted by the remarks from those whose faces were inadvertently trodden on, to guide one to the door. Looking down in the semi-darkness to the far end, one observes two very small smoky flares that dimly illuminate a row of five, endeavouring to make time pass by reading or argument. These are Macklin, Kerr, Wordie, Hudson, and Blackborow, the last two being invalids.